Five years have past since the earthquake hit Haiti in 2010. More than 200 000 people died and millions lost their homes. For many, daily survival is a struggle. 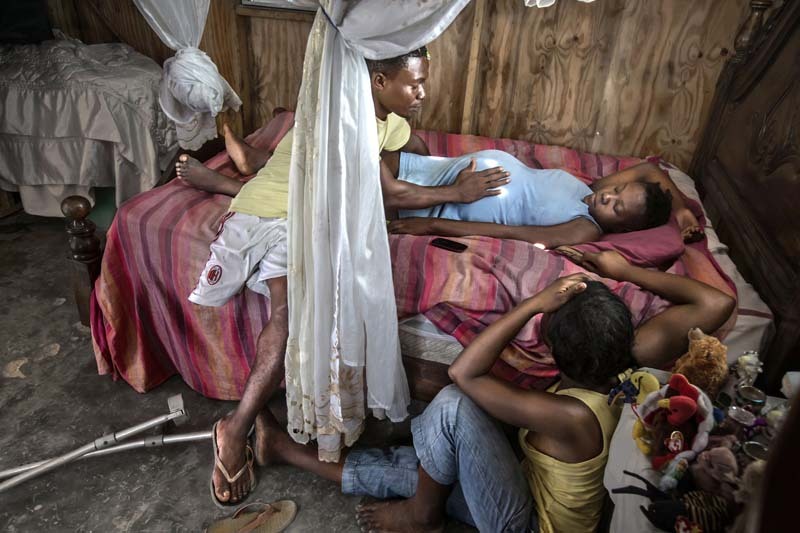 On the outskirts of the capital Port-au-Prince Nadia Julien and Orima Luccene live in a camp. Even if the rent is low, 56 US dollars per month, they are very worried. In two weeks Nadia will give birth to their first child. “What will we do if there are any complications? Caesarean? We don´t have any money.” Initially the humanitarian disaster in Haiti created an outpour of aid from the world – but that was years ago. Around 150 000 people still live in squalid camps and the everyday life is was it was before the disaster. Miserable, poor and dangerous.